During many divorces, one of the most important, and often difficult issues that will need to be decided is that of a child custody and visitation agreement. Child custody agreements decide which parent(s) have legal custody of their children, which parent(s) are the custodial parents, and what the visitation schedule will be like between the children and their parents. However, child custody agreements are based upon the circumstances of the parents and the children at the time of the divorce, and many times these circumstances can change after the custody agreement is already in place. When this happens, it may be necessary to undergo a child custody modification hearing. At The Law Office of Del Sardo & Montanari, our attorneys have extensive experience help clients with all manner of divorce settlement agreements, and modifying those agreements after their divorce when circumstances change in towns across New Jersey and Passaic County, including Woodland Park, Clifton, Wayne, Little Falls, and West Milford. Call our office to discuss your unique needs and concerns when it comes to your changing circumstances and a child custody modification in a free and confidential consultation with our attorney team today. In general, in order for a child custody modification to take place, certain circumstances need to have changed permanently and substantially in order for the court to initiate a modification review. If a court finds there is sufficient changed circumstance to warrant a child custody modification, they will approach the matter much the same way they would during any child custody hearing. They will place the children’s best interests above all else, and examine the ability of both parents to provide for those best interests. Additionally, family courts will usually also seek to allow for the children to spend as much time as possible with both parents barring extraneous circumstances. If you believe your circumstances warrant a child custody modification, or are facing a child custody modification request from your co-parent, it is important that you retain the counsel of our Little Falls child custody modification lawyers as quickly as possible so that we can thoroughly investigate your family’s unique situation, and help you to prepare and present an effective and compelling case to the courts which demonstrates how your children’s best interests and your rights as a parent are closely linked. If either parent believes that changed circumstances necessitate a child custody modification, there are two potential ways to go about securing this modification to your child custody agreement. The first way is through a signed and submitted consent order. A consent order basically means you and your co-parent agree to specific modifications, and once submitted and reviewed by the courts, the changes you have outlined in your consent order will be made to your child custody agreement. Of course, when it comes to divorced parents and their kids, this may not always be possible. If you and your co-parent cannot agree on a child custody modification, it will instead be necessary to file a motion with the courts for that modification. As previously noted, sufficient changed circumstances will first need to be demonstrated before a child custody modification motion can be decided, and having an experienced Passaic County child custody modification attorney during both of these processes is highly recommended. 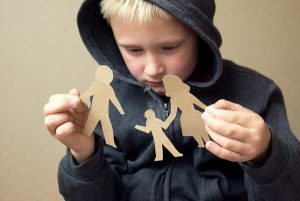 At Del Sardo & Montanari, our attorney team has extensive experience helping parents to draft fair and reasonable child custody agreements during their divorce, and modify their child custody agreement when circumstances change in towns across Passaic County, including Little Falls, Woodland Park, Clifton, Wayne, and West Milford. Our firm believes that by keeping each of our clients highly informed and involved in whatever legal matter they are facing, and listening closely to their unique situation, needs, and concerns, we can better work to achieve the types of resolutions which most accurately meet those same needs and concerns, and protects the legal, financial, and familial futures of our clients and their families. To speak with our legal team today in a free and confidential consultation regarding your divorce, your child custody agreement, or any kind of child custody modification issue you may have, please contact us online, or through our Woodland Park, NJ office at (973) 233-4396.